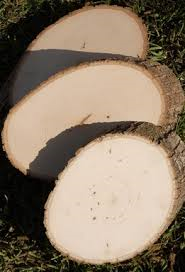 17-20 Pc Varying Widths (.85"-2") of natural Minnesota timber wood slices for use as paths in Miniature Fairy Gardens. Bagged. The natural finish of these chips will darken and patina with time adding a mystique to your garden that only natural products can do. HINT: Add some of the Fairy Sand to the base for a finished rustic look! Bagged.